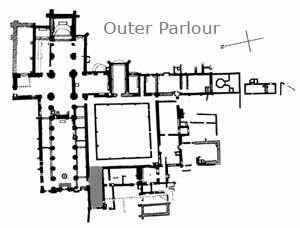 The Outer Parlour was the place where monks would meet visitors to the Priory, and like the Parlour beside the Chapter House, was one of the few places where talking was allowed. It is situated next to the Prior's Lodging, and leads West into the outer court and east into the north cloister - a link between the worlds inside and outside. This was a vaulted room with central columns, and was no doubt intended to impress people who entered it. 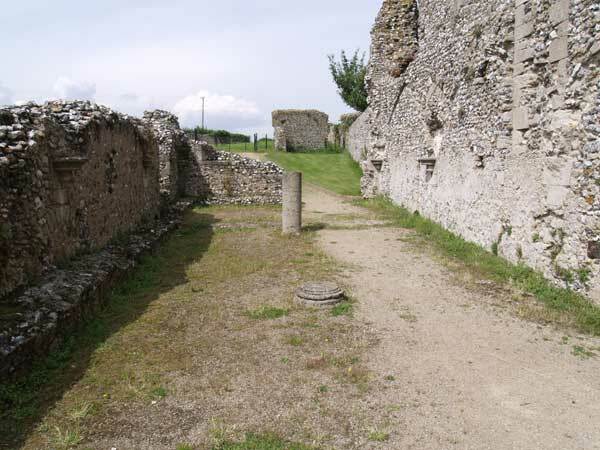 It was the place where the cellarer and other officers of the priory would meet merchants and tradesmen, and when they were haggling over the cost of goods, an impressive room - signifying the power of the priory - could be a real advantage to them. Equally, distinguished visitors to the priory would feel that they were being honoured in being received in such a room.